We design, Manufacture, Install and Commission a money-saving device for solar power plants Reverse Power Flow Grid DG (DG-PV Synchronization). The accuracy of /- 2%. switching non- essential fixed loads if excess solar power is available. Electrically Isolated Communication connection to PV Inverters. Prevents export of solar power to the grid, ensuring solar power is used within premises. 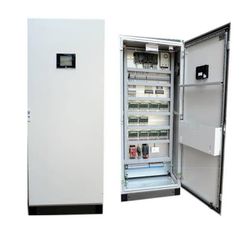 Measures real load power, and commands grid-tie inverter to export this amount of power. Current Range 1000A using external CT's.